The Sloan looks terrific on you!! Love the colour of these! The Sloan pants looked terrible on me when I tried them on... I am between sizes in BR so none of their pants ever fit me. Love your hair here too, so cute! The fit really is good, I love the color; and I agree that the length is ok for an office day with a blazer. Although, you shouldn't go any shorter. My objection to them for office attire is that they don't quite cover the ankle tat. I realize that everyone under 30 has a tattoo (at least one), and the rules are changing. Now, everyone at the Courthouse with a tattoo isn't automatically assumed to be a defendant; but when Grandma is paying her Grandson's legal bills, she is probably less accepting even than I am. So, I think I would be careful about visible tats around middle-aged lawyers, Judges and clients (or at least their older family members). I think this is a casual office outfit for non-client days. E. almost always wears a suit when she has clients. and it's kind of whatever. You're only serving to make her more self-conscious of something she can't do anything about. Not constructive. These pants look great on you..!!! It is constructive if it makes a lurking would be lawyer think twice about getting one. Those are some great-fitting pants on you! Girl, I wish I had your legs! I appreciate your comment. I do want to say for the record and FYI that I got it when I was 16 and hadn't thought about how it might impact my professional life. It hasn't impacted it at all. Now it's too late to fix unless I get surgery, which isn't happening soon. Sometimes its just about the work you do and not how you look, although I can understand different generations might feel differently. However, my line of work seems to attract many people with tats and I might even argue it makes me more relatable to defendants. Yes, and usually you can choose to show it or cover it with makeup, but not with those pants, because the hem bisects the tat. I just don't think this is an issue that should be ignored on the blogosphere, because it is going to be an issue for the next 15 years or so; and too many future professionals aren't thinking about what is an asset or a liability. BTW, I am totally jealous of the fit of those slacks. I was cursed with hips and still NO bust. Not fair! I think I need to try these pants! I like that they come in a variety of colors. They look great on you! Love these pants. So pretty. 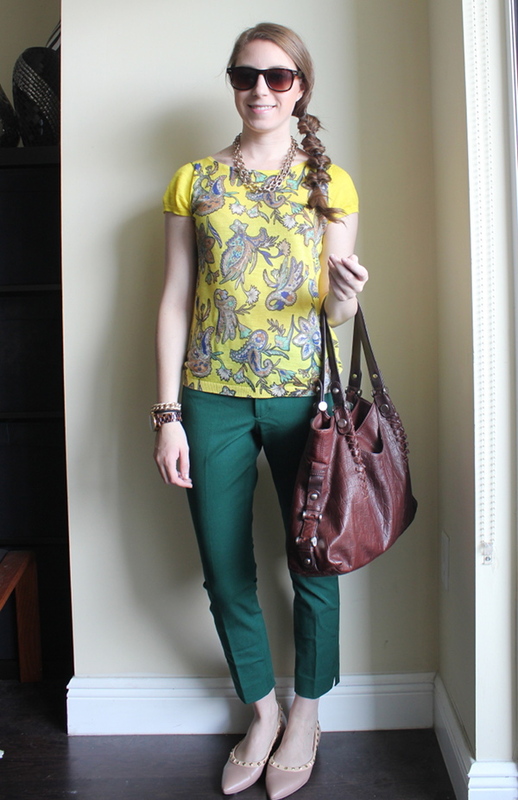 Don't forget to link up today to my weekly Tres-Chic Fashion Thursday Link Up. I bought a pair of Sloan's last year...the fit can be a hit or miss sometimes. 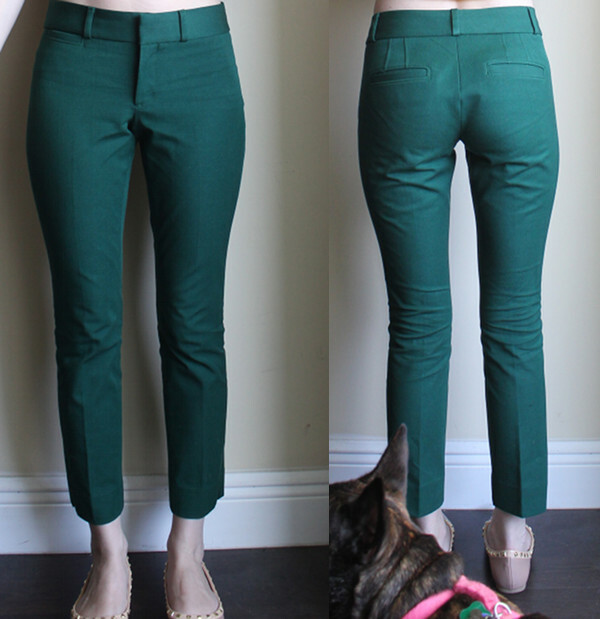 Like they fit great at the waist but baggy thighs...being petite and finding work pants is sooo hard sometimes! Woah, I had no ideas you could stack those coupons! I've been eyeing the Sloan for a while and this is definitely the push I need! They look amazing on you! What a great purchase! I think I'll also need the petite size! I'm not super short (5'4"), but my legs are!